Want to Play for the Marshals/U.S. Elite? 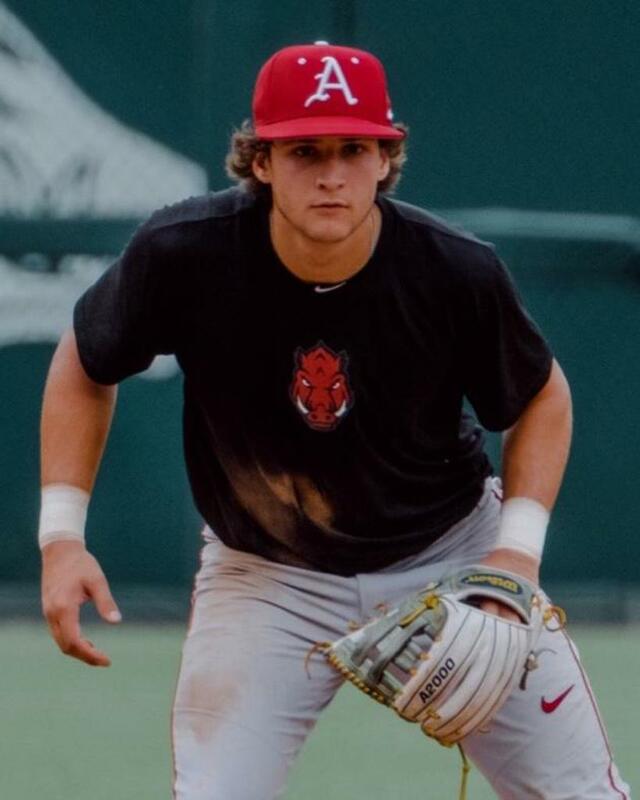 Former McKinney Marshal SS Mac Lopez (Dallas Jesuit) now plays for the University of Arkansas. Want to Play for the Marshals? WANT TO PLAY WITH THE BEST? Some of the best players in Texas and Oklahoma play with our select teams. If you are a player who wants to maximize your opportunity to play at the next level, to play against the best competition, and if you want to play with other players with the same drive and passion for the game that you have, then you've come to the right place. Each year, virtually all of the players graduating from our program are afforded the opportunity to play at the next level. This is because our 18U teams are comprised of some of the best graduating high school players in the North Texas area. Marshals teams are well organized and well-coached, have appropriate roster sizes, and players gain a lot of exposure playing in high profile tournaments against some of the best competition anywhere. For information about group/Individual tryouts, call 972-841-3744 or email us HERE. To register for a tryout, fill out the "Play for the Marshals" form by clicking on the button below. WANT TO COACH FOR THE MARSHALS? We are always looking for qualified coaches to join our Marshals program. If you believe in developing athleticism, emphasizing academics and building character, you've come to the right place. We believe being a coach entails a lot more than just teaching on-field skills. We want to develop our young men as complete people, not just athletes. That said, we field some of the most competitive teams in Texas. If you would like to discuss a coaching position with the Marshals, fill out a coaching application HERE. Our youth teams as well as our high school teams are afforded age-appropriate instruction by some of the best and most dedicated coaches in Texas, and each year our coaches include award-winning college coaches, high school coaches, retired coaches and experienced select coaches. If you would like to discuss a coaching position with the Marshals, fill out the form below, call us at 972-841-3744, or email us HERE. WANT TO HELP A KID PLAY BASEBALL? Each year we are made aware of several players who, due to a variety of unfortunate circumstances, need financial assistance to participate. As an organization the McKinney Marshals sponsors several young men each year, but there are often others who need help. Full Sponsorship - 100% sponsorship of a player. Matching Sponsorship - 50% sponsorship of a player. Partial Sponsorship - (any amount you choose) to help. Uniform Sponsorship - covers the cost of a uniform. Player equipment - helps with shoes, gloves, etc. Travel Assistance - Provide a ride, lodging or other monetary assistance to help with the cost of travel for a player. If you are the parent or guardian of a player that needs assistance, email us HERE or call 972-841-3744 for information. Funds are limited, so proof of need is required.